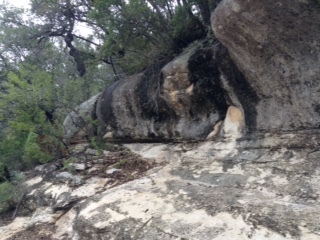 Our work brought us to Texas and I had the pleasure to visit the Hill Country. Kimball a new friend brought me to a place called Jacob’s Well. 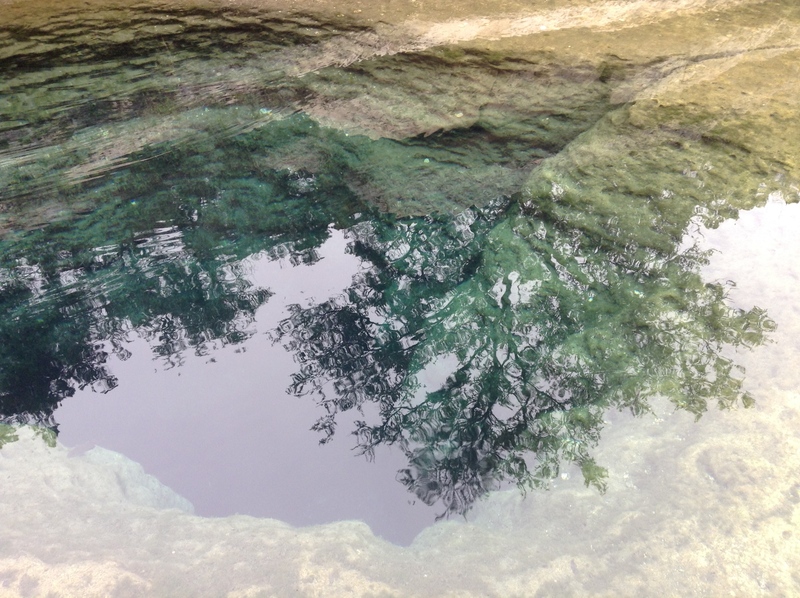 Jacob’s Well is an aquifer that goes 32 feet deep in the Earth. The vegetation in this area has strange shapes caused from the electrical magnetic energy of the ley-lines. The ley-lines are known as dragon-lines in the Far East. 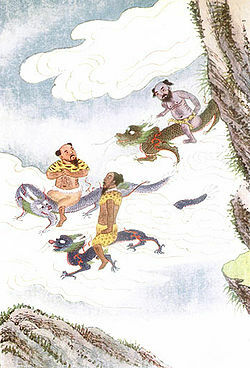 There are many old Taoist legends of Masters in China that use to do their Chi-Gong practice on the back of a dragon. There is always a kernel of truth in the old myths. The Taoist masters understood there is a great deal of Earth Chi available in a dragon-line. But one would have to be sensitive to such energy and also be in a meditative state to tap into such a mystery. The old Taoist like to live deep in the mountains where the water was fresh and the air clean and where there are mountains there are also ley-lines. They would find the green dragon energy that distributes the fertility to the Earth. This is where more chi was available then other places in the land. When they practice Chi Gong or Tai Chi on the back of the dragon they not only worked with their personal chi generated through their practice but also with the Dragon Chi that was generated by the Earth. Many amazing experience could take place for an adept when they work with the Earth in such a way. 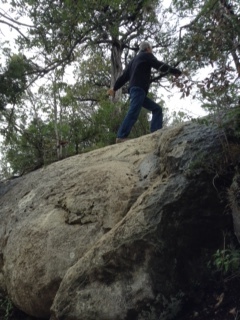 The photo below is Kimball a Tai Chi teacher in Austin doing his practice on the back of a dragon. If you look closely you will see the dragon head in the lower right side of the picture. The second dragon line was found down stream from Jacobs Well . 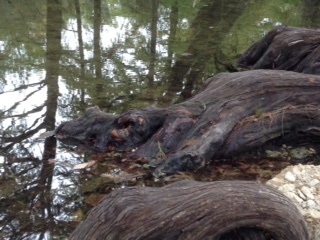 The nose of this dragon is facing toward the middle left hand side of the photo. If you look closely you can even see the dragon’s eye. There are unusually shapes found in the trees around the Well. This tree took on the shape of a wood dragon.